A wonderful shot. Great focus and light. Lovely shot and a beautiful bird. 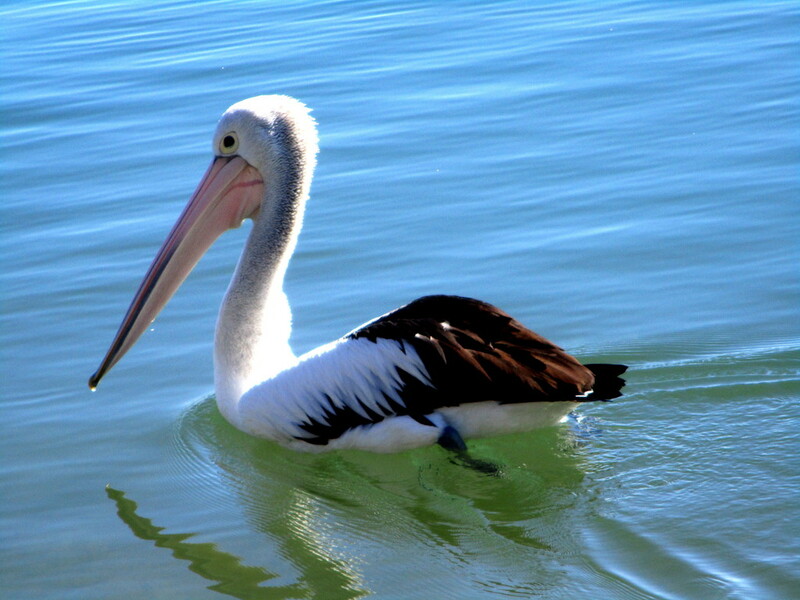 I love pelicans, they are fascinating to watch. Nice close up and reflection. Marvelous detail--so fun to study! Really like the beautiful blue surface and the clear green water in her shadow! Great shot! He/she looks annoyed. Love these birds, wish we had them! Nice capture of the pretty pelican! Fav.